Every year our subdivision hostess Breakfast with Santa and I feel so blessed that Jack has been able to experience Santa in such a laid back environment. At the beginning Jack wasn’t so sure about the guy in the red suit but he has grown to adore him like all kids do. So here are a few things that I love about Santa….he smells like fresh baked cookies, he has sparkles in his beard, a key to the North Pole, bells on his boots and when he laughs (HO HO HO) his belly really does jiggle like a bowl full of jelly. 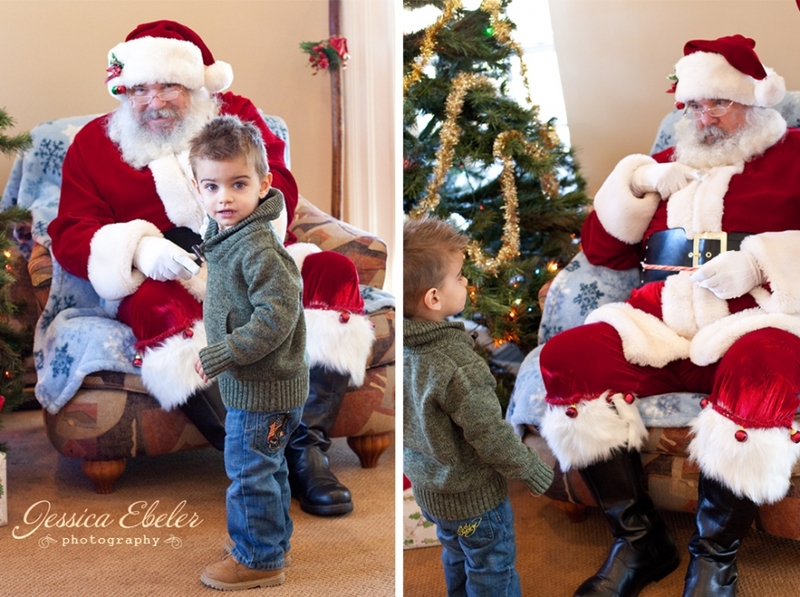 I love looking back on Jack’s relationship with Santa and I hope you get a kick out of it too. He tried so hard to keep it together buuut he finally broke down. I love how Santa’s mouth is open just like Jack’s in the end image. Success!!! Up on Santa’s lap and telling him all about the pirate ship he wanted. Since Jack can’t write yet he drew Santa pictures of all the things he wanted. They went over it together and Mrs. Claus is keeping it safe and sound for Mr. Claus to refer back to later. He was a tad bit shy at first. He couldn’t quite look at him. I’m not sure if it was nerves or excitement (probably both) but Jack fiddled with his fingers the whole time. Thank You Santa for another memorable morning!